We, the representatives of authors, composers and music publishers are following proceedings at the US Copyright Royalty Board (CRB), which will determine the royalty rates that digital streaming services will pay over the next five years. The outcome of these proceedings will not only impact the US music sector; the entire industry will also be affected. The CRB is hearing proposals from big tech companies like Google and Amazon, while the National Music Publishers' Association (NMPA) and the Nashville Songwriters Association International (NSAI) are representing the music industry. 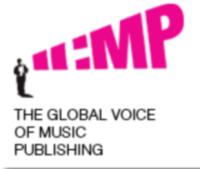 At a time when the EU is looking at establishing a fair licensing environment for rightsholders, we salute our colleagues at the NMPA and NSAI and call on the CRB to adopt a structure that recognises the true value of composers’ and songwriters’ works. As a result of advances in technology, there is more music on offer than ever before, but the tech companies want to lower the price they pay for this music. Meanwhile, composers, songwriters and publishers are being forced to fight for royalty rates through a taxing and expensive CRB trial. The tech companies have for years shown disrespect for the value of music and with that the livelihoods of the composers and songwriters. If they don’t stop, composers and songwriters will soon be unable to continue creating the music that enriches the lives of millions across the world. Make your voice heard by asking the tech companies to pay us a fair price for our works. It’s a simple ask and it’s in your interests to do so.